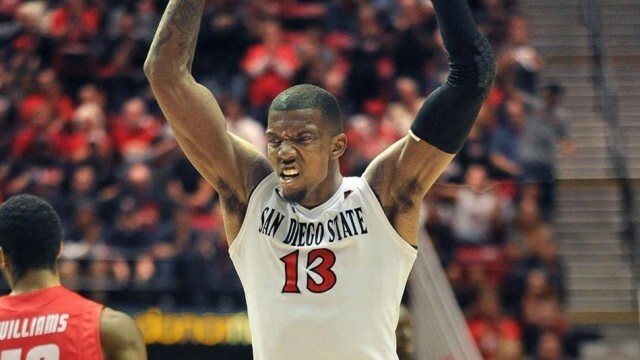 SDSU junior guard Winston Shepard will be returning for his senior season with SDSU. Courtesy of Go Aztecs Facebook. San Diego State basketball coach Steve Fisher announced Thursday that junior guard Winston Shepard will return to school for his senior season, and not enter the 2015 NBA Draft. Shepard, from Houston, Texas, led the team with 11.1 points and 5.3 rebounds per game last season, while also earning second-team all-Mountain West honors by the coaches and media. He has played in 102 games and received 72 starts in three seasons with the team, and has averaged 9.6 points, 4.6 rebounds and 1.9 assists over that span. Along with that, he has helped lead the team to the NCAA Tournament all three years, including the team’s run to the Sweet Sixteen in 2014. Shepard is the last player since Jamaal Franklin and current San Antonio Spurs forward Kawhi Leonard to average at least 11 points and five rebounds and return to school, in the Fisher era.